The Charango is a post-colombian instrument, that is, its existence came about as a result of the Spanish conquest. Prior to the arrival of Europeans to the Americas, there were no stringed instruments at all. Wind and percussion instruments dominated the musical landscape. 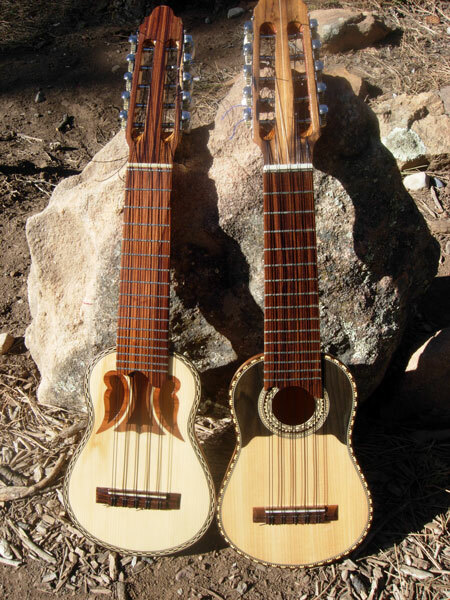 One of the instruments brought by the Spanish was called “vihuela de mano” (hand-lute). 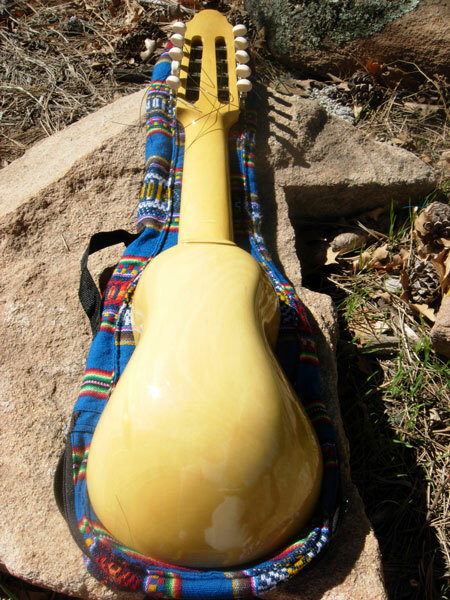 Over the years the native Quechuas, in an attempt to copy the instrument, ended up creating the Charango. 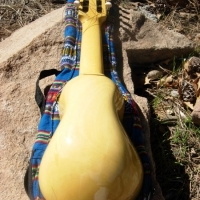 There is some dispute between Bolivia and Peru as to the origins of the instrument. 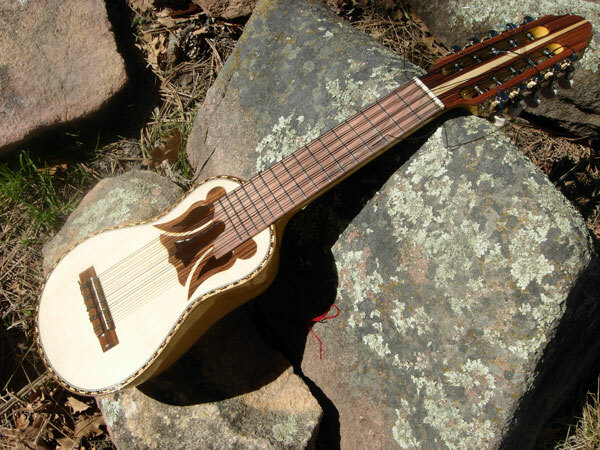 Many agree that the Charango was probably born in the city of Potosi, Bolivia, during the colonial period. However, there are other theories as well. 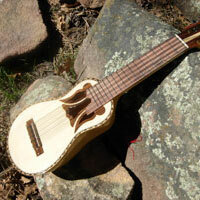 The Charango is now a popular instrument throughout much of latin America, interpreted by an array of virtuosos, or charanguistas. 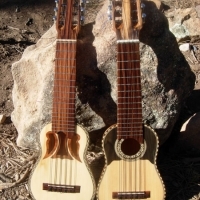 The Charango is sometimes made using the shell of the Quirquincho (armadillo). The most popular models are now made from different hardwoods, as wood is the preferred material for the serious musician. It is also friendlier to the armadillo population. The instrument consists of ten strings (five double) and is tuned G-C-E-A-E. If you take away the last two E strings, the tuning is identical to the Ukelele. 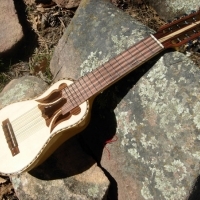 The sound of the Charango is sometimes described as harp-like, though it can resemble the mandolin , lute and guitar as well. Our Charangos are hand-crafted in Cochabamba, Bolivia. The instruments are made by Hernan Tordoya, brother-in-law of flutemaker Ivan Alandres. 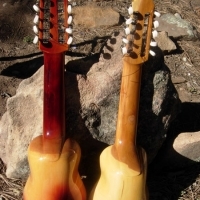 The Alandres family has been making Bolivian musical instruments for over 30 years and is well respected within the musical community. 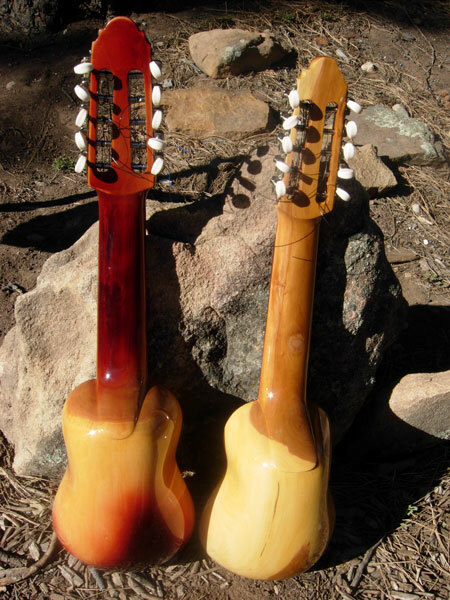 The body and neck are carved out of a single piece of wood, the soundboard is a light spruce with intricate inlays. Strings are nylon and the instrument comes with a cloth carrying case and a basic chord booklet.